In this week’s History of Magic, we turn our attention to Criss Angel. No introduction is probably needed for this performer who is credited to have appeared on more television shows with his magic than any other living magician. He has broken many world records, performed hundreds of stage shows and illusions and continues to amaze his audiences with his bizarre magic that bewilders and enthrals people. Criss Angel began his magical career in New York where he was born to Greek parents on December 19, 1967. He performed his first magic show at age 12 for which he was paid the princely sum of $10. He spent his high school years performing in New York restaurants and his first illusion was floating his mother in their home. By the time he finished high school he had decided to even then become a travelling performer with other travelling acts. He made magic really cool. 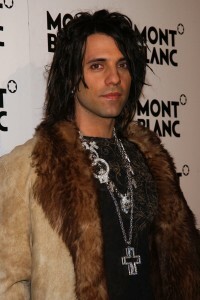 Unlike other magicians Criss Angel never mixed with fellow magicians having decided he wanted to create his own unique performing style. From the very beginning he was quite different and caught the attention of movie makers and television producers that led to many television appearances and eventually his very own series and movies that he liked to direct and become involved in their production. He wrote the music and scripted his shows along with the choreography. Some of his successful productions were, The Science of Magic, Criss Angel Mindfreak and Believe and many prime time television specials and radio documentaries. Really strange stuff sometimes, from a strange magician who is sometimes copied but never equaled. From an early age Criss credited Harry Houdini as being his inspiration and he is involved in the exposure of fraudulent mediums and others who claimed to have psychic powers just as Houdini had done during his lifetime. Criss is sometimes a controversial performer but who manages to capitalise on good or bad publicity. Admittedly some of his illusions are highly dangerous and he won acknowledgement for remaining underwater for 24 hours thus creating a world record. Another spectacular stunt was his escape from a hotel set for demolition with Dynamite explosive while being handcuffed and shackled beforehand. He emerged safely from the rubble shortly after the building collapsed. He was one of the first performers to do the ‘Walking on Water’ illusion that received 39 million hits on his website. While lying on a bed of glass he had a steamroller roll over him. He also gained fame by walking up the side of the Luxor Hotel in Las Vegas. Other credits include the fastest escape from a straightjacket in 2 minutes 30 seconds, the longest body suspension of 5 hours 42 minutes and the fastest escape from the ‘Metamorphosis Trunk’ illusion in less than one second. He holds the Guinness Book of Records for “The most people to disappear in an illusion”, by vanishing 100 people in May, 2010. On top of this he has won dozens of awards from different magic societies and various organisations, including the Harry Houdini Museum Hall of Fame. Part of his success is that he is a very good businessman that is very essential for a professional magician. He sees opportunities as challenges and not obstacles. Many of his illusions have a very real element of danger to them and on occasion he has had very narrow escapes with his life. Some of his magic tricks actually scare people and are quite bizarre. He tends to live on the edge often defying the odds then overcoming the inherent obstacles in tricks he performs. 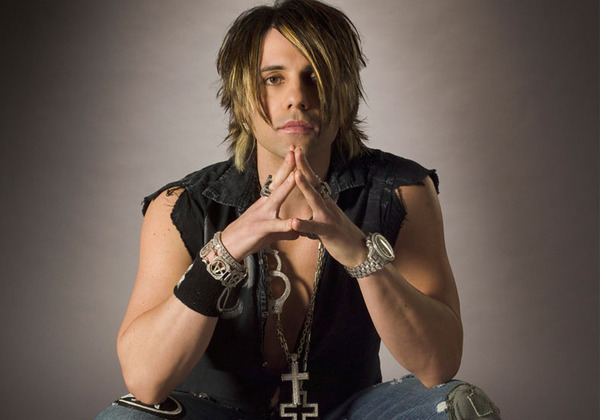 Criss Angel is perhaps the most watched magician on the internet and has many YouTube videos to his credit. Some of his magic tricks are now available from a few magic dealers on DVD and he has a great following by street magicians and close up magicians. His stage shows in Las Vegas attract huge crowds with ticket sales of millions of dollars and he did over 600 shows at the Underground Theatre in Times Square New York grossing even more millions. Another stunt that garnered a lot of publicity was him walking through a steel gate where he seems to literally melt through the solid steel bars. Then to emulate his lifetime idol, he vanished an elephant on stage like Houdini did. In another stunt he stretched two people on park benches separating their bodies and mis-matching them when he joined them back together. This effect really freaked people out who screamed in disbelief at what they saw. 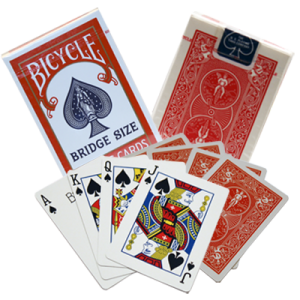 He has also developed the Criss Angel Magic Collection which contains 6 magic tricks from his Mindfreak Show with full instructions and a special children’s magic kit with 250 magic tricks. This development cost $5 million to market, so big money is often involved in magic. Criss also has a whole stable of assistants, technicians, and studios with actors and special effects designers to create the different scenarios he uses for his magic and illusion. He is constantly seeking new methods to amaze and bewilder his ever growing audience and loves it when his spectators run away from a magic trick in fright. Some of the magic tricks that Criss performs can be a bit weird, like when he was in New York walking the streets he would hypnotize bystanders, turn cups of take away coffee into cockroaches and produce a tarantula spider from a can of coke, or make a coin squeeze out from his skin. At one stage he had hooks pierced through his back and suspended with the weight of his body being held with the hooks. This freakish style of magic obviously has its appeal to some while others find it a bit over the top. With his connections in the movie industry, it is obvious that he works with their creative specialist people to produce some really bizarre magic that would be otherwise impossible. He is also creative with a knack for capitalizing on situations that are beneficial to his career. He provided the magic and illusion for Michael Jackson’s shows and for Britney Spears’ and has acted as consultant to other famous stars and entertainers. He has been a guest on most of the American talk shows with Larry King, Oprah Winfrey, Ellen DeGeneres and David Letterman etc. This sort of exposure can only be a good thing for his ongoing career. His photo often appears on magic magazines and journal covers too, so he is constantly in the public’s eye and there’s no mistaking him with the hip clothes he wears. But I doubt he will ever win the best dressed magician award. One of the lessons I think we can take from Criss Angel is that to be a successful magician in this day and age, one has to be different and he is most certainly different. He obviously is talented and extremely wealthy and very well-connected to the right people who have helped advance his career in magic. I doubt whether he will go down as one of the Greats in the history of magic but he has taken magic to a different level, mixing awe and spectacle together. I now always look at his audience’s expression of open-mouthed amazement. Did you ever get the same reaction with a magic trick you did? Then you and I have something to work towards.